SHAREHOLDERS of Access Bank Plc has given nods to the Directors of the Bank to increase the size of the existing one billion US dollars Debt Issuance Programme to $1.5 billion. At the Bank’s Annual General Meeting (AGM), on Wednesday, shareholders of the bank approved the raise of additional $500 million through the issuance of non-convertible loans, notes, bonds and or any other instruments whether by way of a public offering, private placement, book building process, reverse call enquiry or any other method or combination of methods, in tranches, series or proportions and at such dates, coupon or interest rates within such maturity periods and upon such terms and conditions, to be determined by the Board of Directors subject to obtaining the requisite approvals of the relevant regulatory authorities. Also, Access Bank shareholders approved a final dividend of 40 kobo per every 50 kobo ordinary shares bringing the total dividend paid for 2017 financial year to 65 kobo per share, as an interim dividend of 25 kobo had been paid. On the addition to the existing USD 1 million Debt Issuance Programme, the Chairman, Access Bank Plc, Mosun Bello-Olusoga, explained that it was in pursuit of strategic growth objectives of the Bank, as the Board of the company was committed to strengthening the Bank’s funding and capital base as well as profitability through a robust capital structure. “This need is underscored by the growing scale of regulatory headwinds and economic realities which have put demands on liquidity and capital,” she said. She explained that in furtherance of this, the Board deemed it necessary to further bolster the Bank’s capital and funding base through the issuance of debt securities, using instruments considered appropriate for the Bank to meet its growth objectives. Speaking earlier, she noted that the board recognised the importance of dividends to shareholders and believed in balancing returns on investment for shareholders with support for the Bank’s future growth and preserving strong capital ratios, thus the interim dividend of 25 kobo declared and paid for the half-year ended June 30, 2017. 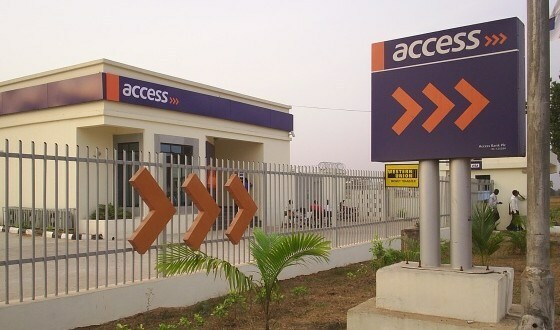 Speaking on the Bank’s financial result for the year ended 2017, the Chief Executive Officer of Access Bank, Adeolu Bajomo, stated that the Group posted revenue of N459 billion, a 20 per cent increase from the previous year, which according to him, reflected the strength and sustainability of diversified businesses and enhanced retail market penetration. Bajomo, however, noted that the exchange volatility and other economic headwinds, which resulted in significant loan loss provision, affected profitability as profit before taxes reduced by 11 per cent from N90 billion in 2016 to N80 billion in 2017. Looking ahead, the CEO noted that although significant progress has been made in delivering on the Bank’s growth objectives, more work lies ahead to ensure the Bank is well-positioned for longer-term value creation. “This year, we will place greater emphasis on growing our retail franchise, cost discipline and proactive risk management as key drivers for enhanced bottom-line growth,” Bajomo said.